I watched The Force Awakens again at the weekend, the third time now, and while I know that’s nothing too special in and of itself, it’s really gotten me thinking about the movie, the new lore, and all the rest of it, so I thought what better way to spend a three-day weekend than to ramble about stuff here on my blog?! You’re welcome. So, first of all, I have to say that I’m surprised (in the best possible way) just how much more I enjoy this movie with subsequent viewings. When I first saw it, I was impressed but felt a bit nit-picky; the second viewing was better and thought-provoking. This third viewing, I was surprised to feel myself loving almost all of it! I still feel a little disappointed at the lack of any sense of history for the movie, but I think that’s becoming less of an issue now. Bloodline did a tremendous job of helping out here, of course, and while the destruction of the Hosnian system still feels a bit meh, because we don’t know (and so, don’t care about) the people there. But I think that may come to be more prominent later down the line. I’ll probably get to theories later, but I have the feeling somehow that too much important stuff was left out between episodes VI and VII, that we may be getting a lot more than just books and comics that fill in the gaps here. I always thought the biggest obstacle to movies or TV shows would be the age of the iconic actors, but if Disney is willing to cast a new Han Solo for the upcoming anthology movie, then I don’t think it’ll be long before we get a movie/series showing Jedi hijinks with a new Luke, for instance. The more I watch this movie, and in particular, the more I read stuff like Bloodline, I’m much more interested in just who the First Order are. In the film, they’re a bunch of neo-Imperials who are intent of the destruction of the New Republic and Leia’s Resistance. 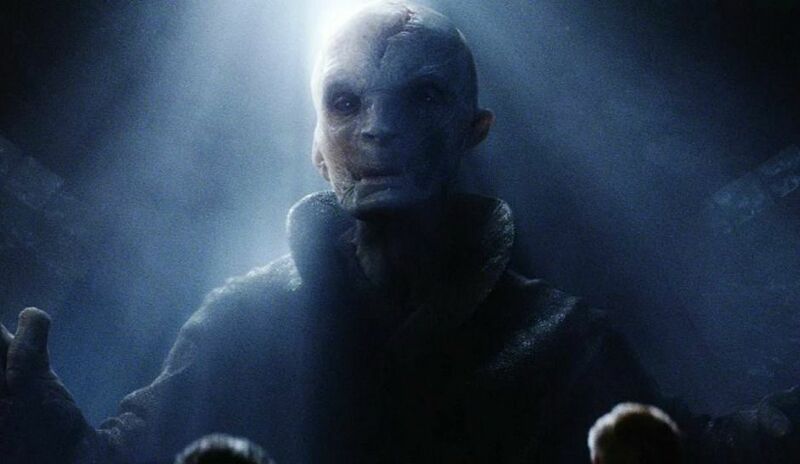 They’re led by Supreme Leader Snoke, a guy who has just popped out of nowhere but who has apparently been around forever, and have an affiliation with Dark Side users like the Kylo Ren and, possibly, the rest of the Knights of Ren. Not sure if they’re all Dark Siders, of course. Again, Bloodline did a great job of explaining how members of the New Republic, eager for a return of order to the galaxy, led to a new-Empire arising. Something that I find interesting, that has been pointed out in a few other places now, is how the First Order folks are all fairly young types, and it feels like they’re kinda playing at being bad guys, but they’re pretty bad at it. Like they’re play-acting what they thought the Empire was like, but kinda getting it wrong. 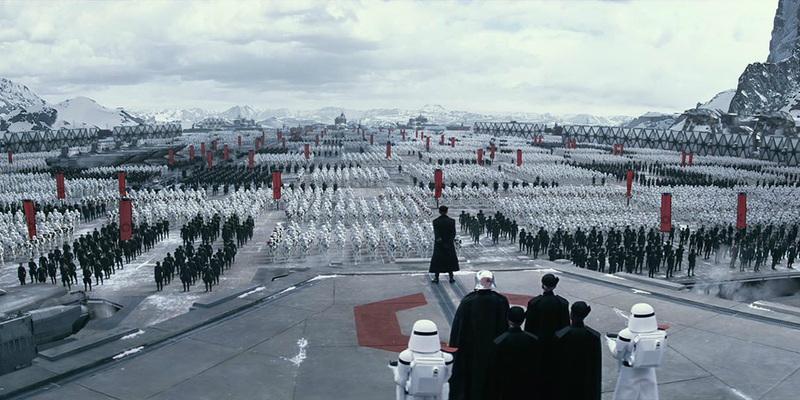 Probably the best example of this is General Hux’s speech before Starkiller Base is fired. He’s practically having a fit – yes, kinda like Hitler – when talking about destroying the New Republic, and yet when the weapon is actually fired and the camera returns to him, he has something akin to a vulnerability to him, the look on his face is almost like “what have we done? !” but not quite there. I find fascinating the idea that they’re a bit like kids who have been trying to be mean, suddenly find themselves actually doing mean and horrible things, and feel that they can’t back out anymore. Whether it’ll turn out to be the case or not, we’ll see, but it’s definitely a much more interesting take than merely bad for the sake of having a movie villain, as I first thought! Returning to ol’ Snoke for a moment, I don’t really have any major theories here. 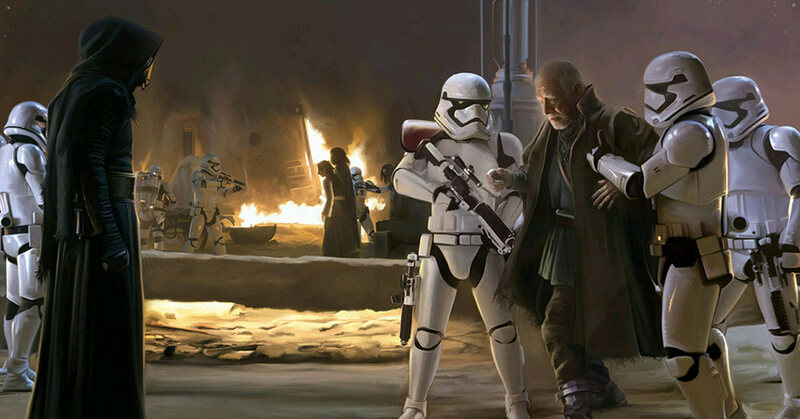 The Plagueis rumour has been done to death, yet even with Lucasfilm alum Pablo Hidalgo saying they aren’t the same person, it seems the internet isn’t willing to give that one up. I am more interested in the fact that he’s a new person – I mean, why must everybody we meet in these films be somehow related to everybody we already know?! At any rate, I’m looking forward to seeing who he will be. I find it interesting that Leia talks about him like other people in the galaxy know who he is – he’s not some shadowy puppet master, but it’s almost like he’s a public figure to some degree, who’s possibly in hiding after whatever trauma did that to his head. One of the many things that has me excited about Star Wars now! Staying with characters, let’s talk Maz Kanata for a while! I just loved these scenes – the rich history of Star Wars crowd scenes, such as the cantina or Jabba’s palace, it’s good to see that continue here! While there is some element of the static about it – like the Outlander Club in episode II – I still like seeing the huge buffet of life on offer in the galaxy. The character of Maz is one who I find incredibly believable, for a mo-cap creation, and that really got me interested in just who precisely she is. Sure, she runs her “castle” bar and has done for a thousand years, but who is she, you know? I guess what I’m driving at is, why the hell does she have Luke’s lightsaber in her basement, when it was lost during the Cloud City battle in episode V? How has she managed to get it?! I was never entirely convinced that the Emperor had recovered it, as explained in The Last Command, but I feel there may be more of a story here than was touched on in the movie. She says she’s “no Jedi”, but knows the Force, and the way she talks about it does make me think she’s part of this Church of the Force that has been talked about in the Visual Dictionary. I still need to get my hands on that book, as I get the impression there’s more in there than I’d thought! I mentioned this after the second viewing, but Lor San Tekka is one of these characters I’m really keen to learn more about. Now, he is part of this Church of the Force, as the Dictionary tells us, though what precisely that means is still a little hazy to me. Sure, they’re a group of people who revere the Jedi way and whatnot, but I definitely feel there’s more here, and not just in that Star Wars obsessee way! In the same way I feel Maz is a much more important character than perhaps she has credit for, because she has the lightsaber, I feel there’s a massive story around Lor San Tekka than we got to see in the movie. The opening crawl calls him an old ally of Leia’s, and I get the sense there’s an Obi-Wan vibe going on, similar to “years ago you served my father in the Clone Wars”. There’s a history here that we don’t get explained, yet it seems criminal to let this go to waste. He also knows who Kylo Ren is. Now, it’s one thing to know Leia had a son who went off to train as a Jedi, but I get the sense that the Kylo Ren/Ben Solo thing is similar to the Darth Vader/Anakin Skywalker thing – the average schmuck wouldn’t know they were the same person. So I’m guessing Lor San Tekka is closer to the Jedi than merely revering their philosophy as a religion. Of course, the fact that he has the map to Luke Skywalker also points to the idea that he’s closer to Luke than we think, as well. Maybe he was employed at the Jedi Academy? Hm. This blog is running a little long now, so I think I’ll end it here. I don’t really have anything to offer around the lineage of Finn or Rey – part of me is actually not that interested in either, if I’m honest. Finn makes a point of saying he was taken from his parents before he was old enough to really know them, and Rey is waiting for hers to come collect her on Jakku, so there is likely a story waiting on both. However, both Finn and – especially – Rey are sufficiently interesting characters that I want to see them develop on their own. If we were suddenly told that Luke was Rey’s father, it wouldn’t actually add anything to her for me, because she’s a fantastic character in her own right. There’ll be another 18 months, at least, before we find the answers to these questions, so I guess we’ll just have to be patient. But I, for one, cannot believe how excited all of this has made me for new Star Wars material now! It’s so cool to be genuinely in the dark on stuff!